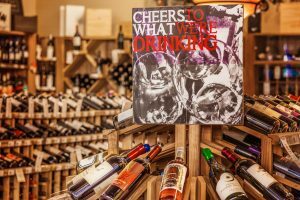 At Wagner Wine & Spirits, we proudly offer an extensive variety of wines and bubblies to appease every palate, as well as every budget. You’ll find we regularly add new varieties from a number of vineyards from around the world, so you know there is something for your wine rack or cellar from our ever evolving wine selection. Our stock includes selections from Chateau Ste Michelle, Coppola, Cakebread, Triennes, Momo, Michael David, just to name a few. We are confident our diverse selection has something for everyone. If you are having trouble finding your favorite, or just don’t know what to choose, then we’d be happy to help you out! Looking for some in-depth descriptions of a particular wine? Keep an eye out for our “shelf talkers.” You will find these cards spread throughout the store featuring ratings, general information, and descriptions on many different bottles we offer. Whether you are a wine novice or you are looking to stock your cellar, you are sure to find a variety that suits your needs. If you can’t find your favorite bottle, or there is a particular wine you would like us to carry, let us know! For those of you who are looking to fill up your wine racks, we offer bulk discounts! Receive 5% off when you buy a half case (6) of your favorite bottles, or get 10% off if you buy the whole case (12). Ladies, visit us every Wednesday for WINES-day and receive 10% off of your wine purchase! Each Saturday, stop by our store for our weekly wine tasting from 4-6 p.m. Sample several of our latest additions and enjoy 10% off of that week’s featured bottles. To receive updates on all of our tasting events, be sure to sign up for our mailing list and stay in the know!